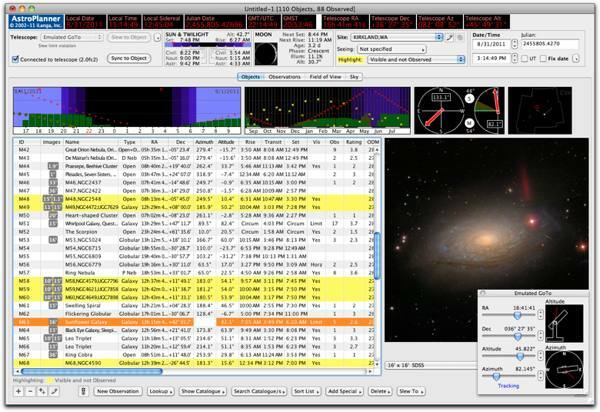 AstroPlanner is a software application for Macintosh and Windows computers that facilitates astronomical observation planning, visualisation and logging, as well as control of telescopes with computerised go-to mounts or digital setting circle controllers. AstroPlanner is shareware and you are welcome to download and try a fully-functional version at no cost. The application requires Mac OS X 10.4 or after, or Windows XP or after. Copyright © 2011 - 2018, iLanga, Inc. All Rights Reserved.